So, the plan was to do 15 days of Halloween Crafts for a toddler but it’s already the 21st so I’m a few days behind (does it really surprise you) – I guess we’ll be doing 10 days of Halloween Crafts. Anyways, we’ve been doing a lot of Halloween themed stuff around the house since the weather has gotten a bit colder and we’ve had some cloudy days. 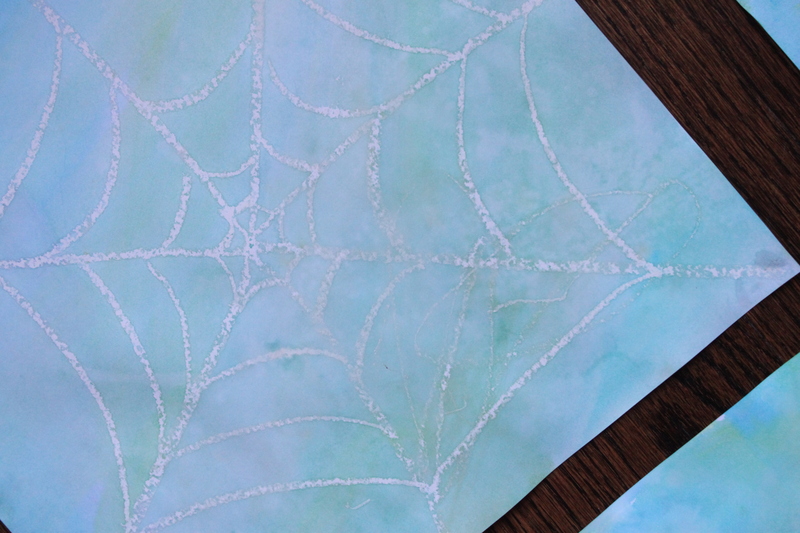 This should keep you busy for a half hour or even an hour (if you’re like us and made like 10 pages of spiderwebs)! 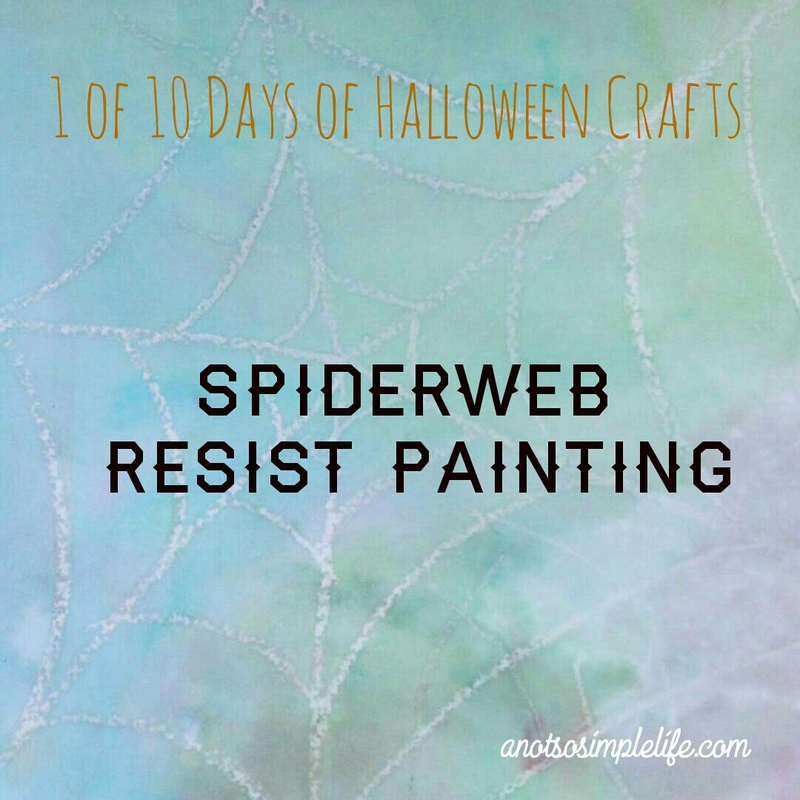 First up, learning to draw lines with these Halloween themed spiderweb resist paintings. I love this project because it’s cheap, easy, and I think many of you will already have everything you need on hand at home. 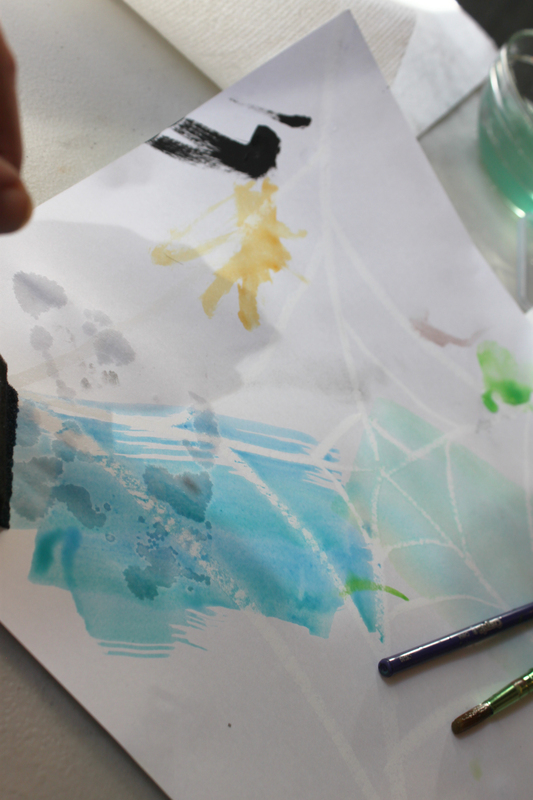 Draw your spider web, pressing hard to make sure your lines are fully coated in crayon wax or oil pastel, then paint over them with watercolors. 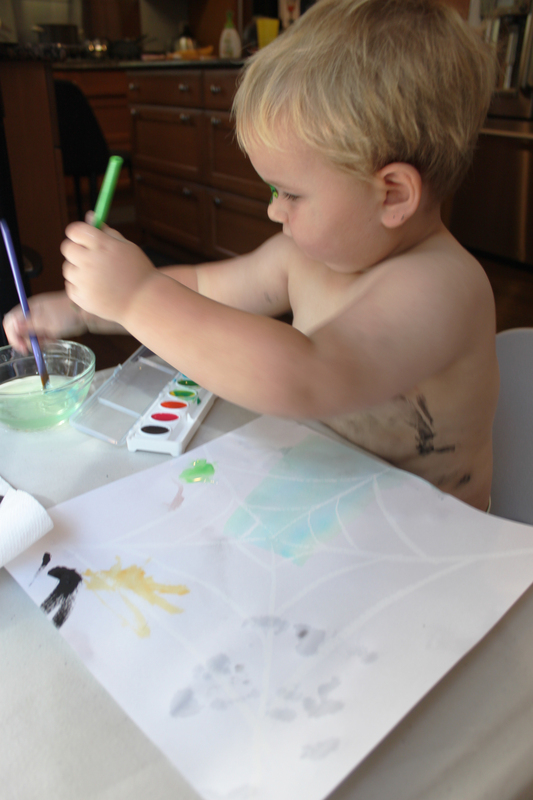 I drew the web and then my LO drew his “lines”. Personally, I found that the crayons didn’t resist enough for my tastes and using them you couldn’t see my LOs lines at all because he doesn’t push very hard. I remember doing this when I was little with a Crayola crayon but for some reason it just didn’t come out that great. It did sort of resist the paint but there was not enough contrast for me…maybe it was our paint too? We were using some really old watercolors. After a few tries I changed up my technique and grabbed some of my old oil pastels from high school and our new Crayola watercolors. Here’s with the crayon…. I love the pastel version best because you can see where my son helped draw the lines. See them? They’re light – I couldn’t see his lines when we used the crayons. The LO and I also made some spiders that I plan on using with these to make a Halloween decoration to give each of the grandparents! Check it out in a later post! 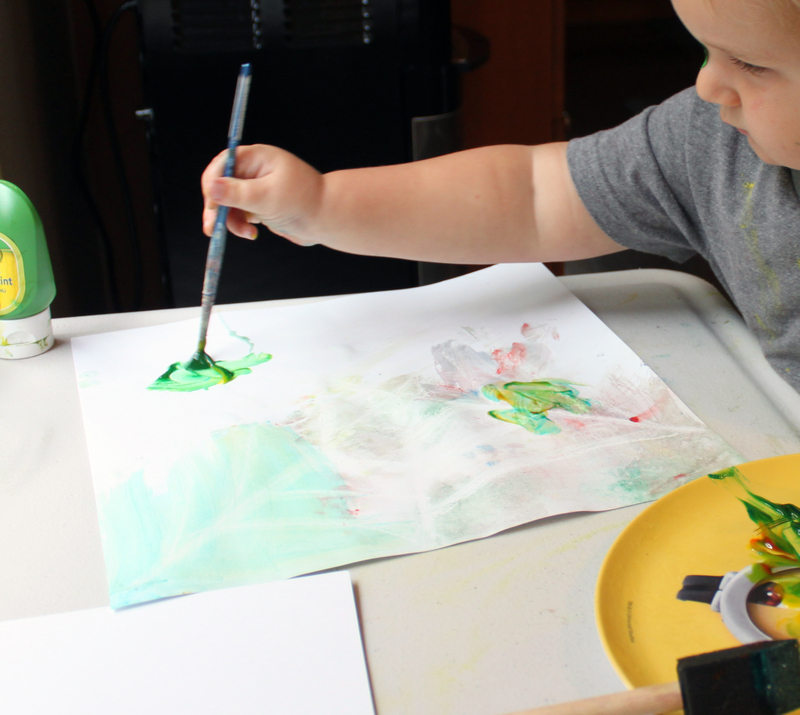 Now that the LO loves to paint so much we’ll probably be doing some more resist painting in the near future!